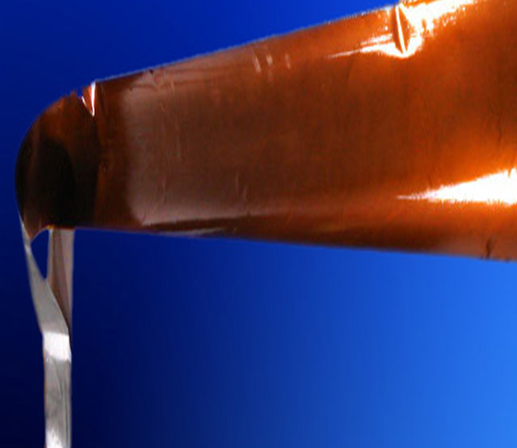 An existing Birk customer approached us with a project that required a Kapton® heater 61″ long, and a heater of that length was not within Birk’s capabilities at the time; in fact it was not within the capabilities of anyone in the entire flexible heater industry. Birk discussed alternative designs with the customer but it was decided that there were no alternative solutions due to the fact that the heater had to be one continuous piece and also made from Kapton. Birk offered to design and manufacture a custom press that had the capabilities of manufacturing a panel that would meet the specifications of the design. The customer accepted Birk’s offer and so we designed and manufactured the new press needed to make this long heater. Birk manufactured a press that would make the heater panels that were 6″ x 64″; these panels allowed Birk to manufacture the exceptionally long heaters that had been specified by its customer. However, before the heater manufacturing could begin, Birk had to develop many other new tooling and processing techniques due to the unprecedented length of the heater. After the process development was complete Birk was able to supply its customer with heaters that matched the original specification of the customer. This is a great example of Birk’s willingness to work with its customers to reach a solution that is mutually beneficial. By working with our customers, Birk has expanded its knowledge and capabilities while always satisfying and exceeding the needs of its customers.